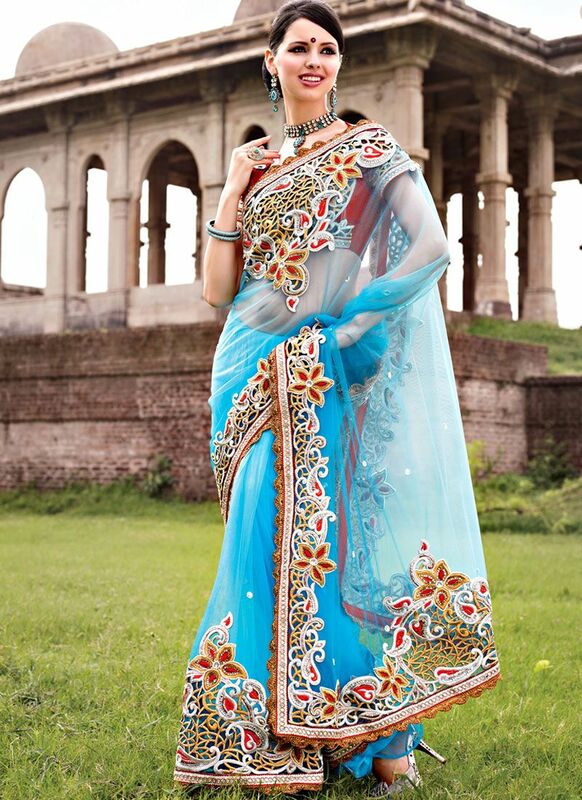 Attain fascinating beauty in this turquoise shade net saree. Crystal buttas, resham, motis and cut work adorned paisley mixed floral applique entices the look of the saree. Fancy scallop border frames the saree. Comes with a matching blouse and inskirt.